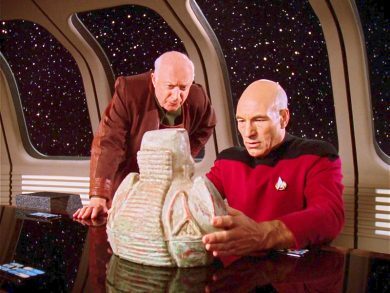 Captain Picard is visited by his old archaeology professor with an intriguing proposal: leave the Enterprise and come with him to uncover one of the great mysteries of the ages. Hot on his tail though are Klingons, Cardassians and Romulans who are after the same thing. Is it a weapon? A source of power? Or something with far greater meaning? The Chase is on in this week’s Mission Log!